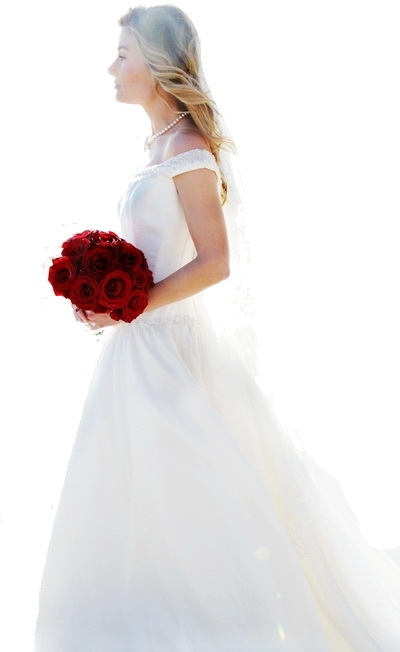 With Beau Ideal Beauty, from the beginning, you are treated as if you are the star of your wedding day, which you will be! When we do the trial run we focus only on you and your vision and try as many of the various styles you'd like to see. We photograph each make-up and hairstyle, from all angles, because it doesn't just have to look good up close and in the daylight and evening on your wedding day, but also in the photos. Then we fill out detailed make-up charts with what we have decided to use for your wedding day. On your wedding day we come to your location to get you ready so you don't have to drive around and deal with the stress of traffic and crowds. You are our only clients that day so you won't run the risk of running late or getting a rushed job because of another incoming client. Our experience is in TV, film, and photography, so we know how things look photographed and what to avoid. Like fuzzy hair and visible bobby pins and wilting curls, thick foundation or too shiny mineral make-up. Our hairstyles last all day because we are very adept at any 1/2 up, down and wavy, or up hairstyles. Many salons mainly cut, color and blow out hair, with much less experience in "formal" hair except lots of proms. We pride ourselves on creating the most beautiful and elegant hairstyles. Our make-up lasts all day because we have researched (and continue to do so) the latest, newest products and the most lasting and waterproof eye make-up. The airbrush foundation alone is worth the trial just to see how flawless and glowing it makes your skin and how long it lasts. Many salons are focused on trying to sell a single line of make-up and are not as concerned with how it photographs. We also provide the bride with a lovely touch up kit and offer to stay until the reception, continuing to touch up and even changing the hair from up to down or vice versa if you desire. When you use Beau Ideal Beauty for your wedding you are going to have a very individualized experience in which you are sure to be lavished with attention by your own personal beauty team the entire day. Make-up and hair seem like a small part of a wedding, but feeling beautiful and pampered and relaxed, and knowing you will look your best all day, is worth it. Remember, your make-up and hair goes beyond the wedding day. It lasts for months, years, and generations, through your photographs.